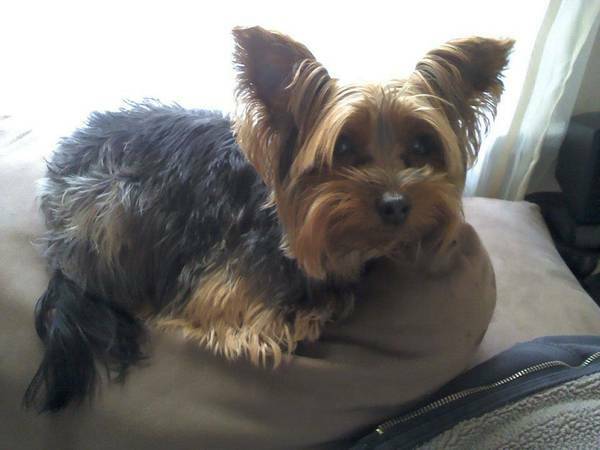 We are missing our 4 yr old miniature Yorkshire terrier. He is micro-chipped, typical brown and black colors and weighs around 4-5 lbs. His name is Zeus. He got out and we believe he was taken. He is very friendly and will go to anyone. He is a beloved family member and we miss him very much. He went missing in the area just south of Christian Park. South of English, between Emerson ave and Sherman ave near Hoyt ave and Kingbridge ave on 6/20/14 at approximately 6:30pm. Please contact me at 3174026319 Ask for Nicolle or Uriah Thank you for your time and assistance.